My last post dealt with conspiracy theories as a significant but frequently entertaining entry point for recognizing some of the flaws of intuition as a way of knowing – that is, if it is not supplemented by awareness and the more rational processes of critical thinking. This week’s post picks up that background and applies it in a series of classroom exercises to get students to engage their minds. After all, we can’t teach critical thinking by telling students about it. They have to do it themselves. Below are some exercises that you are free to use or adapt to your own classroom context. For the first exercise below, it could provoke thoughtful discussion to look at some social forces and historical movements that could well provoke conspiracy theories–in order to look at the seeds of such distortions of evidence. Part of the value of looking at how conspiracy theories arise from the “natural” inclinations of our brains, however, is to sensitize us to the extent to which those biases can influence our judgments even when we are not thinking about conspiracies. Exercise 2: Identify the cognitive bias. INSTRUCTIONS: In the following examples, pick out which of the six cognitive biases treated here is demonstrated. Some instances could arguably have more than one bias, depending on the interpretation. As you consider these, note which ones could lead “naturally” to a conspiracy theory. Exercise 3: Test your own “conspiracy detectors”. Using whatever quick research skills and critical thinking skills you have, see if you can find which ones of the following were largely verified conspiracies and which have no credible evidence. Military leaders planned terrorist attacks in the US to drum up support for a war against Cuba. Parts of the Gulf of Tonkin Incident, which led to US intervention in Vietnam, never happened. A public-relations firm organized congressional testimony about maltreatment of babies, that propelled US involvement in the Persian Gulf War. If you’re interested in using these exercises in class, please feel free to adapt them to whatever you think would work best for your own context. In recent posts, we’ve given a lot of attention to public knowledge claims that are NOT true – Eileen treating “con artists” and Theo treating conspiracy theories. Why have we focused on conscious swindles and inadvertent false beliefs in this way? Why not simply treat knowledge claims that have the best justifications, the most reliable ones we have achieved so far? 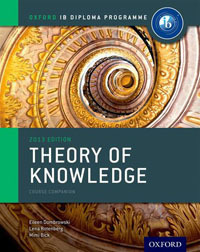 After all, TOK is a course that aims to deal with well supported shared knowledge, and the methods we use to achieve it. But there is a lot to be gained by “teaching backward”. But enough for now! We’ll come back to this point another day. This entry was posted in IB Theory of Knowledge and tagged analysis, cognitive bias, confirmation bias, critical thinking, intuition, knowledge claims. Bookmark the permalink.